Today we’ll be attaching the optional nightie skirt and attaching our straps, the final steps in the tutorial! If you’re making a matching Victoria cheekie or thong, sew those up today too. 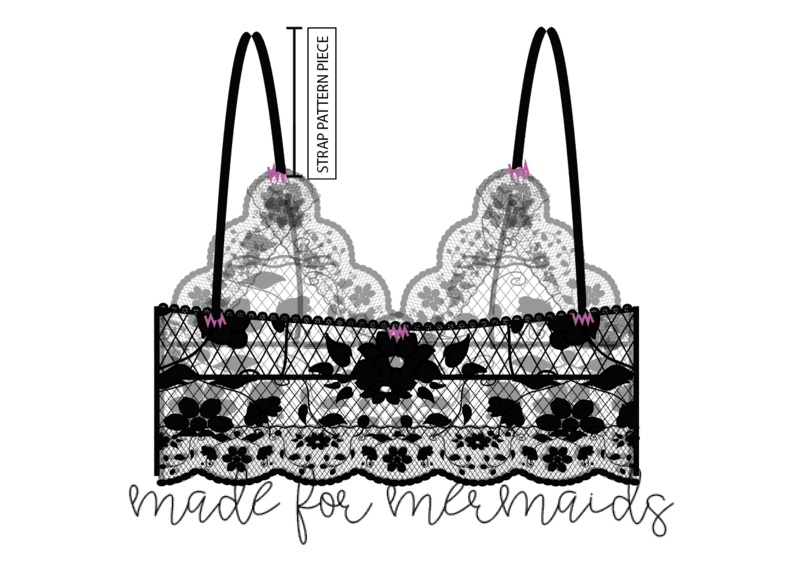 Both options are very quick and can be sewn in one sitting…. such a gratifying sew! 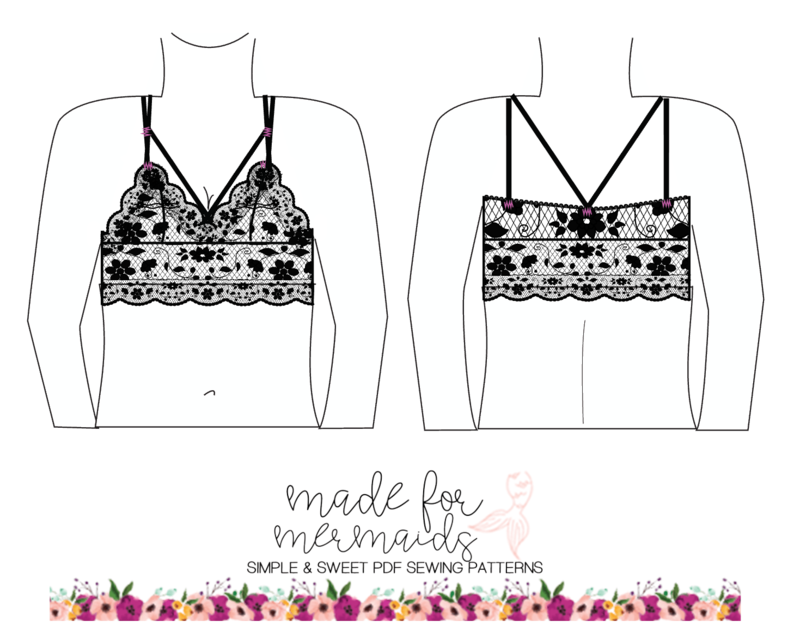 I’m no stranger to pattern hacks and I knew once we started testing Bridgette how perfect it would be as a base to make a strappy bralette. If you want to sew one up, you’ll construct everything without the back straps. Now, here’s the fun part! You can get creative and add multiple straps, criss-cross them or just do a simple shoulder strap. 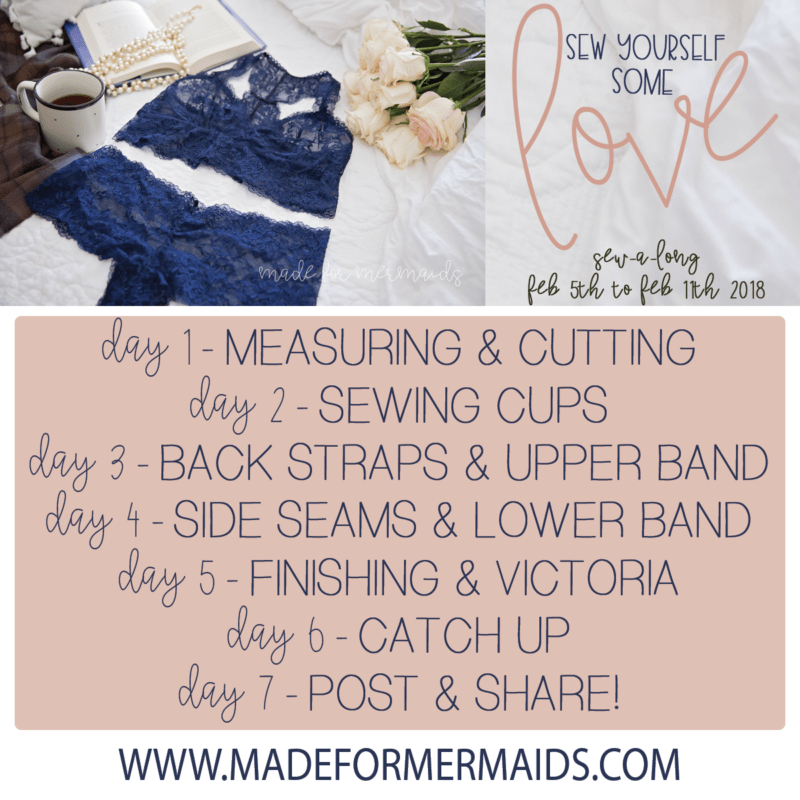 I used a very narrow lingerie elastic for mine but you can use picot elastic, plush lingerie elastic, or even stretch lace trim. Knit spaghetti straps will also work but I would recommend adding 1/4″ elastic in them for extra support. Here’s the tricky part…. Everyone has a difference in preference for how tight they want their straps. My suggestion would be to cut them a little long, pin or baste them in place and then stitch them in permanently once you’ve confirmed you like the placement and tightness. 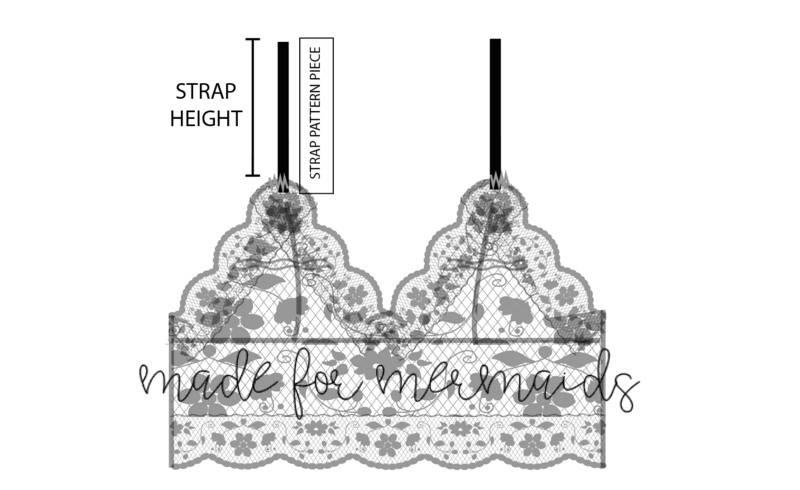 To determine the overall length of your straps, lay your bralette cup side down. Pin the front strap to the top of the cup. The height of the strap should be the same as the height of your pattern piece for the strap. Now, without stretching, but keeping the strap taught, pin to the upper back band and baste in place. Repeat with a second strap if you wish. For my version, I did 2 straps; one over the shoulder and one to the center back to create a V. I added a third strap across the front bust about 3″ from the top of the cup and stitched all 3 straps together. The front V straps are stitched to the center of the crossover of the cups. To find the length of the center V strap, I put on the bralette and cut to size. 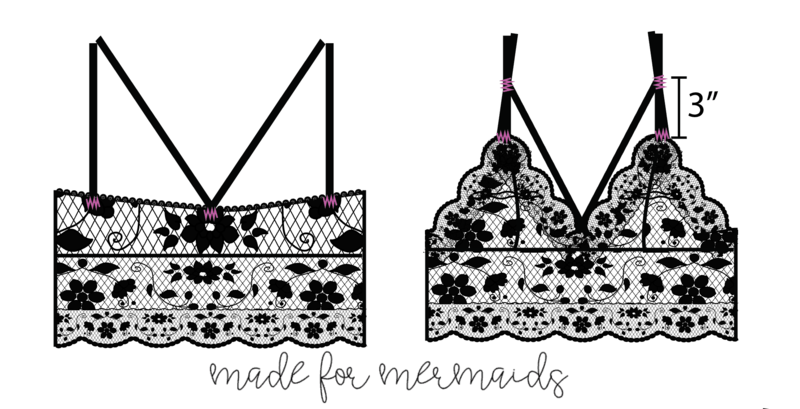 It would be best to cut them this way as our bodies are all shaped differently so you can decide where you’d like them placed over your bust. Tomorrow is a catch up day and then we’ll post our finals in a album in our Facebook group on Sunday. Monday we’ll be choosing FOUR random participants to each win $25 store credit to Surge Fabrics!! I can’t wait to see everyone’s finished Bridgettes and Victorias!